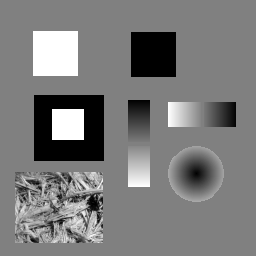 To create a normalmap (also often called bumpmap) from a heightmap (an image containing one relevant 8 bit-channel with 0 (“low”) to 255 (“high”)) there is more than one way. 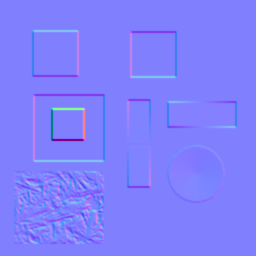 On the Plugin's Website you see what you can do with it - a lot of possible adjustments, including an OpenGL preview ! 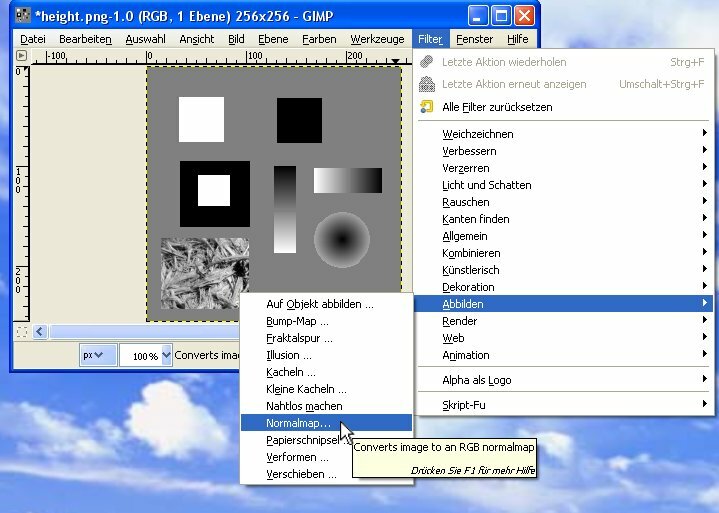 The Image you start with must be a 3 Channel “RGB”-Image (if necessary, simply convert it by Image/Mode/RGB), then use the Plugin by selecting Filter/Map/Normalmap. The nice thing about making bumpmaps with PIL is that my small program ( about 5700 Bytes last time I looked) runs in the same environment you have already installed to run the example programs presented here. If you just want to run this program, Python 2.6 (or newer) and PIL should suffice. You can even use the program as a module and import it into your own Pyglet project ! You save the manual conversion of your images during the design phase: The first time you run your program with a changed heightmap, your bumpmap will be magically updated . A drawback may be the lack of options, but if you understand how the program works, you can easily extend it. height2bump.py and the legal restrictions. calculates a bumpmap (normalmap) from the "R"-Channel of the input_file. 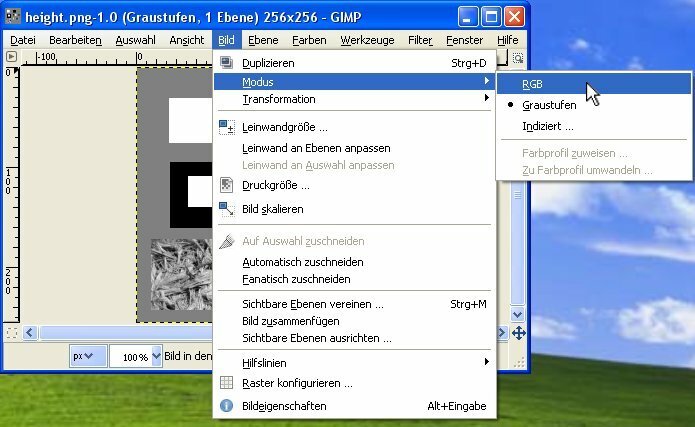 The option ”-s” gives you the image on the right with Sobel filter. If you want to understand how the program works, read the program documentation.